John Barry ‎– You Only Live Twice. Vinyl, LP, Album, Stereo, Reissue. A5 A Drop In The Ocean. A1 You Only Live Twice - Title Song, Lyrics By – Leslie Bricusse. A3 Fight At Kobe Dock - Helga. Released: 1980. B1 The Damned - Dead Beat Dance - 3:51. 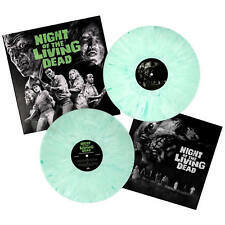 Pressed on limited edition bone white and green zombie blood colored vinyl. B2 Tall Boys - Take A Walk - 2:28. Label: Real Gone Music. B3 The Jet Black Berries - Love Under Will - 2:56. SILVER & BLACK SWIRL VINYL LP - 400 COPIES. NIGHT OF THE LIVING DEAD. BOARDING SCHOOL. THE PITY OF ANGELS. ORIGINAL SCORE FROM THE 1990 MOTION PICTURE. COURAGE TO GO. TALKING POINTS.
" PJ MASKS LIVE! RECORD CONDITION: M: UN-PLAYED. JACQUES BREL. Award-winning musical based on the music and lyrics of Jacques Brel. ELLY STONE. Music By, Lyrics By – Jacques Brel. Written-By – Eric Blau, Jacques Brel, Mort Shuman. Vocals – Alice Whitfield, Elly Stone, Mort Shuman, Shawn Elliott. We believe any dispute can be resolved by a positive approach. 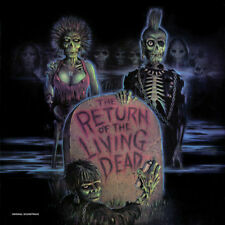 Return of the Living Dead - NEW SEALED Limited Edition LP on Colored Vinyl! Dead Beat Dance (The Damned). "bone white & green zombie blood" vinyl.Braainsss! zombies got their first lease on, er, life. Co-written by John Russo. NEW SEALED LP on limited edition colored vinyl! Catalog #: PC 34223. Shirley Maclaine. Live At The Palace. Year Released: 1976. Format: -33 rpm 12" LP stereo. LP Quantity: 1. Vinyl Condition: New Still Sealed. Cover Condition: New Still Sealed. This is a double LP (2 discs). GHOUL GREEN VINYL. 180 GRAM 2XLP. 50TH ANNIVERSARY. ben comforts barbara. NIGHT OF THE LIVING DEAD. blood from the landing. bonus night of the living dead 1968 radio spot. attack at the window. First-ever vinyl reissue. Original cover and label art. 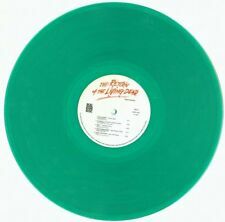 Limited Edition of 750 Copies in Translucent Green Vinyl. 750 Copies in Translucent Green Vinyl. The Flesh Eaters, The Jet Black Berries, and More Notorious Punk and Death Rock Acts. Cover is an original flip back and mint-. Record has mint blue deep groove un boxed London labels. Vinyl is mint-. 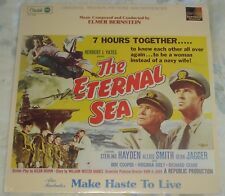 Classic Johnny Mandel score played by many jazz greats. Artist: WANG CHUNG. Title: WANG CHUNG - TO LIVE & DIE IN L.A. NEW VINYL. Format: VINYL. We want you to be 100% happy with your order. You are also entitled to have the goods repaired or replaced if the goods fail to be of acceptable quality and the failure does not amount to a major failure. TO LIVE ANOTHER SUMMER, TO PASS ANOTHER WINTER-GARY McFARLAND-DOUBLE LP-NEW!! Artist: VAN WISSEM,JOSEF / HUIDOBRO,DOMINGO GARCIA (W/DVD). Format: VINYL. We want you to be 100% happy with your order. You are also entitled to have the goods repaired or replaced if the goods fail to be of acceptable quality and the failure does not amount to a major failure. 1958 RCA LSO-1032. South Pacific Overture. THIS RECORD IS STILL SEALED IN ITS ORIGINAL. This Nearly Was Mine. Carefully Taught. Happy Talk. A Wonderful Guy. A1 Live For Life 3:06. A4 Live For Life 3:10. Parker joined the BBC and in 1978 after gaining a master's degree in composition and recording techniques at the University of East Anglia. Limited edition "ARCTIC PEARL" vinyl. 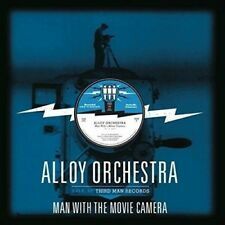 Artist Alloy Orchestra. This is a double LP (2 discs). Record Label Third Man Records. Format Vinyl. Duration Double LP. Record Size 12". St PRESSING ON ‘ARCTIC PEARL’ VINYL. Arctic Pearl Vinyl. THE LIVING PLANET. Parker joined the BBC and in 1978 after gaining a master’s degree in composition and recording techniques at the University of East Anglia. 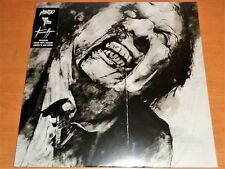 Label: Waxwork Records. The film is regarded as a cult classic by critics, film scholars, and fans and has garnered critical acclaim. The film is a first of its kind and ushered in a new way of writing, directing, and filming horror films. Artist: Paul McCullough. This release is a limited classic black vinyl edition with obi strip.". Title: Night Of The Living Dead. Directed by Tom Savini, the film stars iconic horror actors Tony Todd (Candyman), Tom Towles (Henry: Portrait of a Serial Killer) & Bill Moseley (The Texas Chainsaw Massacre).